AASCF Director, Rosemary James is thrilled to be honoured by the World Governing Body for All Star Cheer & Dance, INTERNATIONAL ALL STAR FEDERATION (IASF) being awarded the IASF LIFETIME ACHIEVEMENT AWARD. 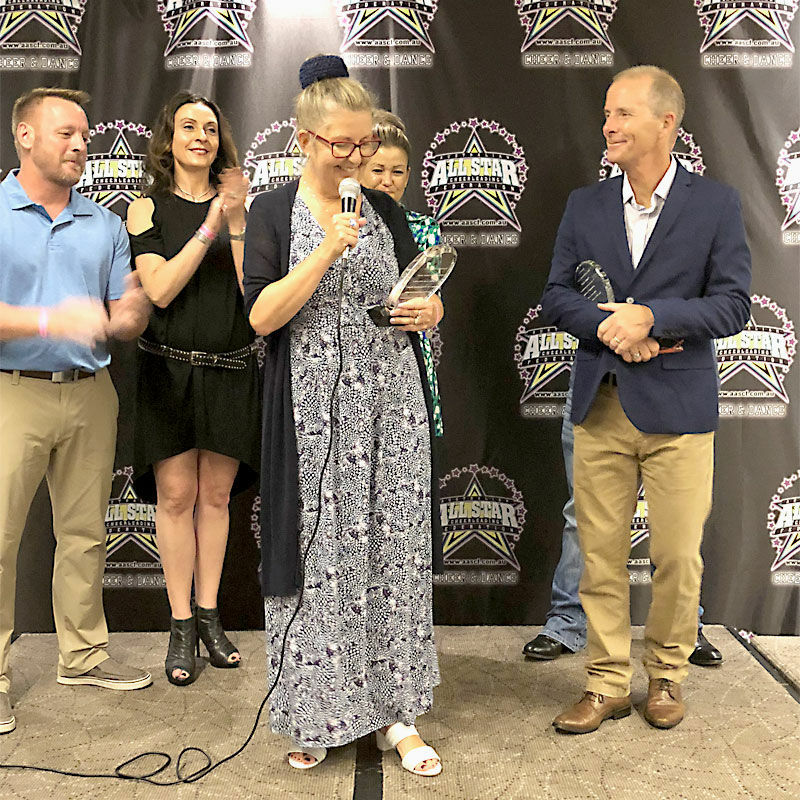 The award reads “ ROSEMARY SIMS-JAMES LIFETIME ACHIEVEMENT AWARD - In recognition of your distinguished devotion to the development & education of the Cheer & Dance Community. IASF (INTERNATIONAL ALL STAR FEDERATION) JANUARY 2018. Rosemary gratefully accepted her Award on behalf of all our AASCF community who all have worked so hard to develop, promote and inspire Australian Cheer & Dance to where it is now recognised as one of the powerhouse markets in the World.